This is a child-friendly sweet and simple jam which the whole family can enjoy. Simply boil up 1kg of strawberries and 1/2kg redcurrants (de-stemmed and with green tops removed) until the fruit begins to break down. Add around 1kg of sugar and bring the mix to a rolling boil (try not to stir too much – just enough to stop the mix sticking on the bottom of the pan). Once the mix begins to look and feel like a sloppy jam, test it to see if it is ready by placing a blob onto a cold spoon or saucer. Push the cooled jam with your finger and if it wrinkles, it is ready. This recipe will fill around 8-10 300ml jam jars. Another easy jam recipe for beginners is raspberry jam. Raspberries are an excellent fruit to grow in your polytunnel. Simply boil up 1kg of raspberries with the juice of one lemon and add around 1kg of sugar. (If you want to remove the seeds, you can push the raspberry pulp through a sieve to remove these before adding the sugar). Boil rapidly for 5-10 minutes then do the wrinkle test as above. 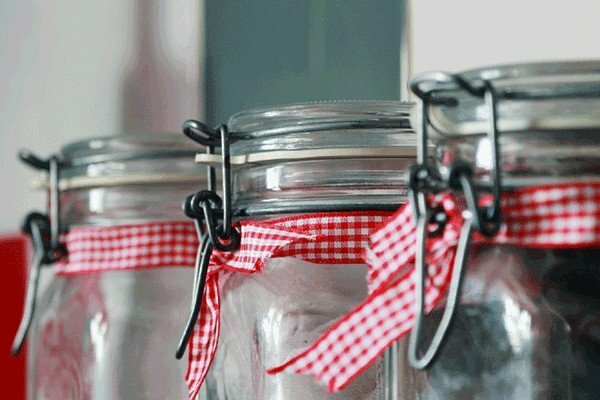 Add to sterilised jars and use within a year, keeping open jars in the fridge. This simple chutney is a perfect accompaniment for cheese or crackers or with other savoury snacks. To make one large jar you will need 250g of onions, 500g of tomatoes, 1 fresh red chilli, 75ml of red wine vinegar and 140g of brown sugar. Simply simmer all the ingredients for around ½ an hour and then keep in the fridge to eat within around a month. This is a great way to preserve a range of seasonal vegetables, such as broccoli, cauliflower, fennel bulbs, runner beans, French beans, onions and shallots along with green and red chillies. First, finely chop the vegetables and place in a large bowl a couple of handfuls of sea salt and just enough water to cover them. Leave this bowl in a cool place for an hour or so. In a large pan, add 2 tbsp mustard oil, 2 tbsp mustard seeds, 2 tbsp cumin, 2 tbsp turmeric and I clove of nutmeg. Fry briefly, then reduce the heat and add 2 tbsp mustard powder and 4tbsp of flour along with a splash of vinegar and stir to make a smooth paste. Add more vinegar (500ml in total) and 100ml of water, 6 tbsp of sugar, 3 cloves of garlic, 2 tbsp oregano and 4 bay leaves and cook the drained vegetables in this mix. Cook for 10-15 minutes then ladle the mix into sterilised jars. A courgette relish is the perfect accompaniment to summer barbecues and can also be delicious with a range of meals throughout the year. 1.5kg of julienned courgettes, onions and 2 red peppers are salted as in the recipe above and then added to a paste of 1kg white sugar, 925 ml apple cider vinegar, 2 tbsp salt, 1.5 tbsp turmeric, 1.5 tbsp mustard seeds, 3 tsp nutmeg and ¾ tsp white pepper. This recipe makes around 4-5 jars. Do you have some favourite polytunnel preserves? Let us know in the comments below.